This show was 1st in the global old school chart, 1st in the global 90s chart, 2nd in the global r&apos;n&apos;b chart, 2nd in the global hip-hop/rap chart and 3rd in the global r&b chart. 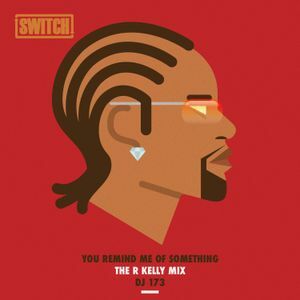 We love a tribute mix at Switch and after stellar work on The Jay Z Mix, day-one family DJ 173 (a massive R.Kelly fan) put all Kelz&apos; best work together in this immense mix. Now, this is what I am talking about. Put together damnn near flawless. Cruise music!! he just have grooving music...plan and simple...very well put together. I&apos;m in the mood to have some kind of relaxation and romance ... here the good stuff for this! Man - you pissed me off - I&apos;m in the middle of ding a R. Kelly CD - &apos;til you did it.